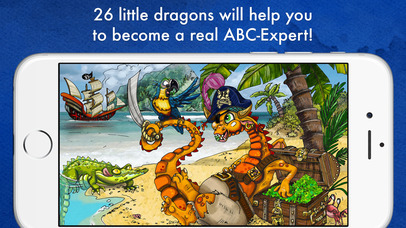 Dragon ABC – 26 little dragons will help you to become a real ABC-Expert! 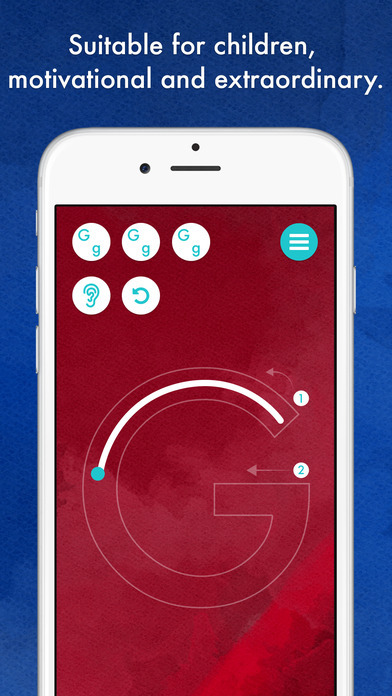 This app is aimed at helping young children become proficient in reading and writing through learning the alphabet, both by sight and also by sound. It also aims to help engage young children in reading and writing by encouraging them to recognise sentences related to the letters of the alphabet. 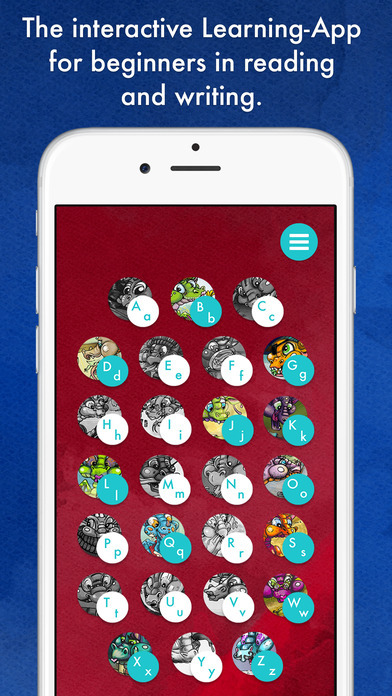 Through a fun and interactive way this app aims to help young children become more proficient in learning the alphabet and improve their abilities in both reading and writing. Centred on the idea of unlocking characters the app aims to build in a sense of gameplay and challenge to hook young children and thus help them to learn through play. Users access the app in quite a simple way and once the user has opened the app for the first time they are given a quick tutorial that explains how they can best access the content on the app. Once they have worked through this they are also asked for what they hand they use so as to make it as user friendly as possible. The user is told that they need to complete 2 tasks for each letter in the alphabet before they can meet/unlock the dragon character related to that letter. For instance the letter A has the dragon Anna however we cannot see the whole picture of Anna until we have unlocked her by completed the two tasks. Once we have done this we can finally be introduced. This is the same for the other 25 letters of the alphabet. The app is certainly easy to navigate through once the user has gone through the instructions and there is also a handy menu mbar in the top right corner throughout the app. By clicking on this app the user can access a number of different things. The options they can choose from include saving their journey and what they have done so far, creating a new journey and starting from the beginning or clicking on the how to button to remind them of how they can access the app. Other selections, mainly for adults, include changing the language from English to German, information to parents from the developer as well as information on the other apps from the developer. Should this app be used in an education setting then there is an option to purchase at 19,99 Euros a class version. The class version allows space for 30 journeys (pupils) to be accessed through the app. The design is really impressive and looks well put together throughout, almost picture book quality and this is the same for the illustrations of the dragons once they have been unlocked. This is really positive as the dragons and the unveiling of the pictures are one of the main foci of the app so they need to be quite impressive. The sound that goes with the unveiling too is quite good although I did find the voice over a little jarring. The voice over is used to read out the words and instructions on the page, however there is a big echo as if it were recording in a large room and the reader seems to have a strange accent in reading out some of the words. The voice over quality certainly doesn’t match that of the high quality visuals and is one reason for seeming to jar. The main content of the app is where the user is going to spend most of their time. Once they have selected a letter to begin learning they are given a small look at the dragon and picture related to that letter, as mentioned by completed the two tasks the whole picture is revealed. The first of the two tasks is to unscramble a sentence by dragging words at the bottom of the page into the space provided and once this has been successfully achieved the sentence is read out. The sentence has letters and sounds related to the specific letter the student is learning and therefore reinforces the sounds involved. Once the user has successfully done this they are then taken to the second task which involves them being able to correctly print both the upper and lower case versions of the letter. At first the user is shown how to do this and then they are given a couple of ways to learn how to write the letter correctly. This involves writing it on screen with a guide in place and then the guide is taken out allowing the user to do it more ‘freehand’. Both tasks are equally good in their own right at helping young children to learn these separate skills however they do not necessarily seem to go together in terms of learning stages. Being able to print letters is one of the earlier levels in learning to read and write however the recognition of sentences and placing words in correct places is definitely more of a higher level skill. With adult help the younger children could definitely access the sentence structure task, however an older child who can access the sentence on their own may feel the letter printing side is not at the same level. Overall this is a good app that I enjoyed using and playing with. There are a couple of things the developer could to further improve it, i.e. improve the quality of the voice over and maybe match the tasks to the same level but overall there are some good learning opportunities. Welcome to an exciting journey through the Dragon ABC. 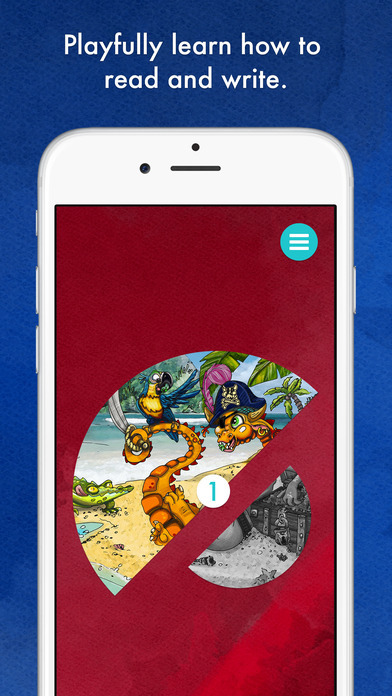 The learning App “Dragon ABC” wants to nurture your kid’s fondness for reading and writing by using a creative approach to the language. Already existing skills can be refined in a fun way. During the development of the app, we the Sauros Publishing Agency, took special care to focus on making the content child-friendly, motivating, and extraordinary. After a short introduction, your kids will be able to use the app independently and without further help. 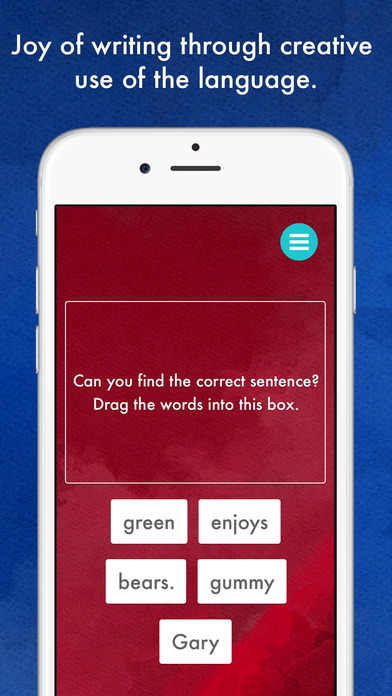 Try to create the correct sentence by moving the word cards with your finger. Once you found the correct sentence, it will be read to you which means you have solved the first task. You also receive the first part of the dragon picture. In the second part of the task, you write a letter with your index finger or your stylus pen. Once you have also completed this successfully, you receive the second part of the dragon picture. You have met you very first dragon. 26 little dragons help you to become a real ABC professional. We hope your kids and you enjoy the journey through the land of the dragons. Please let us know any comments you may have at kontakt@sauros-verlag.de. We are always happy to hear about your experience using our app „Dragon ABC“.